A Schengen visa obtained by any of the Schengen Area member countries allows free movement to its holder within the whole Schengen Zone, up to its validity and timeframe. Which countries take part in the Schengen Agreement? There are 26 countries that have signed the Schengen Agreement: Austria, Belgium, the Czech Republic, Denmark, Estonia, Finland, France, Germany, Greece, Hungary, Iceland, Italy, Latvia, Liechtenstein, Lithuania, Luxembourg, Malta, the Netherlands, Norway, Poland, Portugal, Slovakia, Slovenia, Spain, Sweden, and Switzerland. According to the type of visa issued by the certain embassy/consulate of any Schengen country there are different restrictions that apply to the particular visa in accordance to the nature of travelling and other relevant circumstances. However, the most common type of visa issued to the travelers can reach the maximum of 90 days in every six month period starting from the date of entry. In which occasion am I allowed to apply for a Schengen visa? Every person is allowed to apply for a Schengen visa as long as they can get all the required documentation in order and possess the financial means to maintain themselves during their stay to the Schengen area. What type of a Schengen visa do I need? Depending on the purpose/nature of your travel there are three major types of Schengen visa issued by the designated Embassy/Consulate. The Uniform Schengen Visa stands for a permit of one of the Schengen Area Member Countries to transit or reside in the desired territory for a certain period of time up to the maximum of 90 days every six-month period starting from the date of entry. The Limited territorial validity visa allows you to travel only in the Schengen State that has issued the visa or in some other cases, in the certain Schengen States specifically mentioned when applying for the visa. The national visa is granted to the certain individuals who are to be studying, working or permanently residing in one of the Schengen countries. According to the purpose of traveling the Uniform Schengen Visa applies to all of the two categories, “A” and “C”. “A” category stands for the Airport Transit Visa which allows its holder to travel through the international zone of the Schengen Country Airport without entering the Schengen Country Area. Airport transit visa is mandatory for the citizens travelling from one non-Schengen state to another non-Schengen state through a change of flights in a Schengen Country airport. “C” category stands for a Short-term visa which allows its holder to reside in a Schengen Country (Schengen Area) for a certain period of time depending on the visa validity. What is the difference between Airport transit visa and Transit visa? 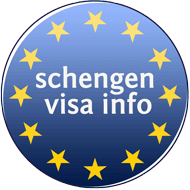 While the Airport Transit Visa allows its holder to travel through the international zone of the Schengen Country Airport without entering the Schengen Country Area the Transit visa which allows its holder to transit within no more than 5 days through more than one Schengen country by car, coach or plane on the way to a non-Schengen country. Single-entry visa allows its holder to enter a Schengen Area only once for the certain period of time. Once you leave the Schengen Area you entered the visa validity expires, even if the time period allowed to stay in the Schengen Area is not over yet, while Multiple-entry visa allows its holder to go in and out of the Schengen Area as pleased. What is a Limited territorial validity visa? Limited territorial validity is a document that allows one to travel only in the Schengen State that has issued the visa or in some other cases, in the certain Schengen States specifically mentioned in the itinerary when applying for the visa. Apart from these Schengen countries, this specific visa is invalid to any other Schengen country not specified prior. What is a National visa? The national visa can be of a single entry, granted to the people who are in need of residing in the Schengen country for a certain period of time and for a sole purpose after which they shall return to their country. On the other hand a multi-entry national visa is also granted for certain individuals, allowing its holder to travel in and out of this Schengen country as he/she pleases and also travel throughout the whole Schengen Area without additional visa requirements. How to Find Cheap Flights to Schengen Countries? Well, the time when finding a Cheap Airline Ticket to Europe was a synonym for a low-quality travel it is almost an allegory anymore. Good news in this regard is that all you need now is exploring and spotting the random hidden Cheap Flight Deals that guarantee you an affordable and a pleasurable Trip to Europe. In the article Cheap Flights to Schengen Countries we will show you some key tips that will most likely save you time, frustration and most importantly money when booking your next flight to Europe. Where do I apply for the Schengen visa? In cases where the applicant will be traveling to one and only one Schengen country, the applicant has to apply at the appropriate embassy/consulate of the designated country. If I am travelling to more than one Schengen country, at which embassy do I apply for a Schengen Visa? What is a flight itinerary for Visa application? Flight itinerary is a confirmed document which can be verified online about the schedule of a given flight. Learn more How to get flight itinerary visa application! What steps do I follow when pursuing a Schengen visa? Every person the wishes to apply for a visa in order to visit a Schengen member country is obliged to apply in person, gather all the mandatory documents and first and foremost accordingly to the rules and regulations, make an appointment in advance. The person that will be applying for a visa has to make sure he/she holds a valid passport apropos a passport that has been issued no longer than ten years ago and has a period of six months until its expiration date. What documents are required when applying for a Schengen visa? When applying for a Schengen visa, there is a need to collect a list of documents that are required for any short-term Schengen visa application. The list of these documents can be found on this article: Documents Required when Applying for a Schengen Visa. Where can I get the application form for Schengen visa? The application form can be downloaded from this page. The application form has the same format no matter which country’s visa it is that the applicant wants to apply for. How do I fill the application form for Schengen visa? The application form can be filled in either by handwriting or by typing into it. Careful not to leave any columns blank. If the applicant feels that there are columns that don’t correspond to his/her matter, fill them with NA (No Answer). Do I have to hand the documentation personally at the embassy/consulate? Do I have to make an appointment at the Embassy/Consulate or I can show up whenever I desire? This depends on the embassy/consulate you are applying to yet commonly it is necessary to make an appointment prior via phone/email. However, in order to be sure the applicant must contact the designated embassy/consulate and ask for further information. What do they commonly ask in the interview for the Schengen Visa? During the interview you will be asked personal questions about your whereabouts, the intended trip and other travel details. Make sure your answers are firm and correct. Is it normal for the embassy/consulate to require additional documents beside the ones that are mandatory? Yes. Apart from all the mandatory documents when applying for a Schengen visa, depending on the type of visa you are seeking there are several additional documents that can be required by the embassy/consulate. After. One must have a copy of the reservation of the return ticket for the time intended to be travelling. It is not recommendable to buy the ticket before getting the visa, if not necessary. If someone is expecting me at the Schengen country, how do I document that to the Embassy/Consulate? If the applicant declares that he/she will be covering all the travel expenses, proof of one’s financial status is requested otherwise if the relative/friend is to cover the applicants’ expenses, a formal document issued by the competent authorities to a resident of a Schengen country (the friend/relative in this case) is to be submitted. If the applicant will be covering the expenses on his/her own, the relatives/friend’s name, and copy the address of their passport will suffice. In case that the friend/relative is not a citizen of this Schengen country, the copy of the residency permit will also be required. Only enough to cover the expenses made during the trip as in, accommodation and everyday costs for the days being. Do I have to send copies of previous visas when applying for a Schengen visa? Yes, in case you have any. Can I apply for a Schengen visa in a country where I am not a resident? Yes. If you must apply for a Schengen visa in a country where you are not a resident, the justification why you are applying from that country will suffice. What do I do if I urge to extend the Schengen visa? In case of any trustworthy reasons, personal, occupational, medical or otherwise, the applicant has to turn to the corresponding institutions in the Schengen country of residence and apply for an extension of the Schengen visa. For more information please read the article about Extending your Schengen visa. What documentation do I need if I am travelling for the purpose of studying in order to get a Schengen Visa? More information about Study Visa, please visit Student Schengen Visa. Do I need additional documents to reside more than 90 days in a Schengen country? Yes. Depending on the nature of your travel, there are several other document one has to attach in order to obtain a long-stay visa aka National visa “D”. Permanent residency refers to a person’s visa status: the person is allowed to reside indefinitely within a country of which he or she is not a citizen. A person with such status is known as a permanent resident. What if there is not an embassy / consulate of the designated country in my homeland? In some countries, there might not be an embassy/consulate of the particular Schengen country you need the visa issued from. Nevertheless, that doesn’t pose any problems since these cases there are embassy/consulate representatives of the country that represents the interests of the country in the matter as well as their own which are responsible to issue the applicant the required visa. What documents do I need to attach if I am self-employed, when applying for a Schengen visa? Can I get a Schengen visa if I am of minor age? Yes. Both parents/guardians have to sign the application form. In case they are divorced/separated, and they share custody of the child again, both of the parents have to sign. In caste only one of the parents has custody of the child, that parent will sign the application form. Are there any additional document requested as a minor in obtaining a Schengen visa procedure? The application form signed by both parents/guardians or the one that has custody over the child in case of a divorce. If a child is travelling alone, a notarized parental authorization, signed by both parents or a guardian. No. There is a non-refundable administration fee when applying for a visa. Where do I pay for the Schengen visa? The Schengen visa fee can be paid in the designated consulate/embassy via cash, debit or credit card. Is the Schengen visa fee the same for adults and for children? No. Children between the ages of 6-12 pay only 35 euros, while children under the age of 6 are not required to pay anything. Where do I purchase travel insurance? Does everybody need travel insurance? Anyone travelling temporarily to a Schengen area from a country that is subject to visa requirements, be it a individual visitors or group visitors, tourists, or business travellers has to be insured for the time being in the Schengen area. Should I bring my medical file with me if I am travelling to a foreign country? In case you have a preexisting health condition it is highly recommendable. If I am travelling on vacation, and get hurt while engaging in an extreme sport of any kind, will insurance pay for my medical bills? No, commonly this case is one of the limitations. However, if you choose to pay extra there can be an arrangement. Do I need a visa for France from UK? British Citizens do not need a visa to enter France. But, residents in the UK of many specific nationalities are required to get a France visa in order to be allowed to travel to France.